The Tanzanian government has charged three of Acacia Mining’s local Tanzanian subsidiaries, along with a current and former employee, with tax evasion and money laundering. Three of Acacia Mining’s (LSE:ACA) local Tanzania subsidiaries, along with a current employee and former staff member, have been charged by the government with tax evasion and money laundering, the gold miner announced on Wednesday (October 17). The employee was originally charged on October 11 and the three subsidiaries being accused are Pangea Minerals (PML), Bulyanhulu Gold Mine (BGML) and North Mara Gold Mine (NMGML). The company states that the accused have pleaded not guilty to all 39 charges, which include tax evasion, conspiracy, a charge under organized crime legislation, forgery, money laundering and corruption. “The majority of the 39 charges and allegations … appear to relate to the historical structuring and financing of PML, BGML and NMGML dating back as far as 2008, prior to the creation of the Acacia Group at the time of its initial public offering in 2010,” Acacia said in its press release. The miner noted that it is not fully aware of what charges will be brought against the two people by the PCCB, or when exactly they will be charged. The company also notes that under Tanzanian law offences under the Anti-Money Laundering Act, those charged are not bailable, and accordingly will not been released on bail. Acacia is Tanzania’s largest gold miner and has been locked in a now 19-month dispute with the government. “While the company remains of the view that a sustainable negotiated resolution of its disputes with the government is the preferred outcome, the interests of stakeholders have been protected in the meantime through the international arbitrations commenced in respect of the Bulyanhulu and Buzwagi businesses,” the company said in a press release. 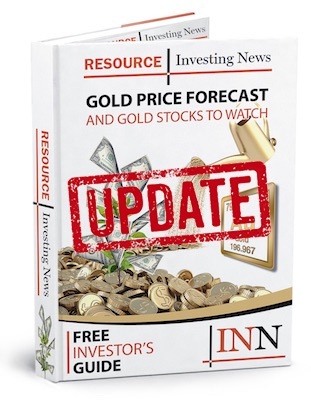 Despite the ongoing contention between the miner and the Tanzanian government, Acacia reported strong Q3 results and delivered 391,000 ounces of gold so far this year. “We are very pleased to report a strong operational performance for the year to date, delivering 391,000 gold ounces in the nine months to the end of September 2018,” stated Peter Geleta, interim CEO. “As a result, we expect to exceed the upper end of our full year production guidance range of 435,000 to 475,000 ounces and are now targeting production to be marginally in excess of 500,000 ounces for the full year,” he added. The company’s North Mara achieved gold production of 89,287 ounces in Q3, which is 24 percent higher than the 72,011 ounces it produced in Q3 2017. The miner stated that the increased output was mostly due to 21 percent higher head grades compared to Q3 2017, driven by higher grade ore received from the eastern part of the Nyabirama open pit. As of 12:18 p.m. EST on Thursday (October 18), Acacia was down 0.78 percent, trading at GBX 158.35.